It’s Halloween season, and we are so here for it. It’s a bit impractical for us to mail you all candy, so we’re sharing some treats in the way we know best: deals, perks, and VIP experiences to our spookiest events! How’s this all going to work? Check out the full list of participating events below and each day we’ll release a special treat for 24 hours only. So buckle up for 13 days of spooky deals on some of the most unique experiences in NYC. Our final treat combines two of our greatest loves: theater and art. Get $25 tickets [48% off!] 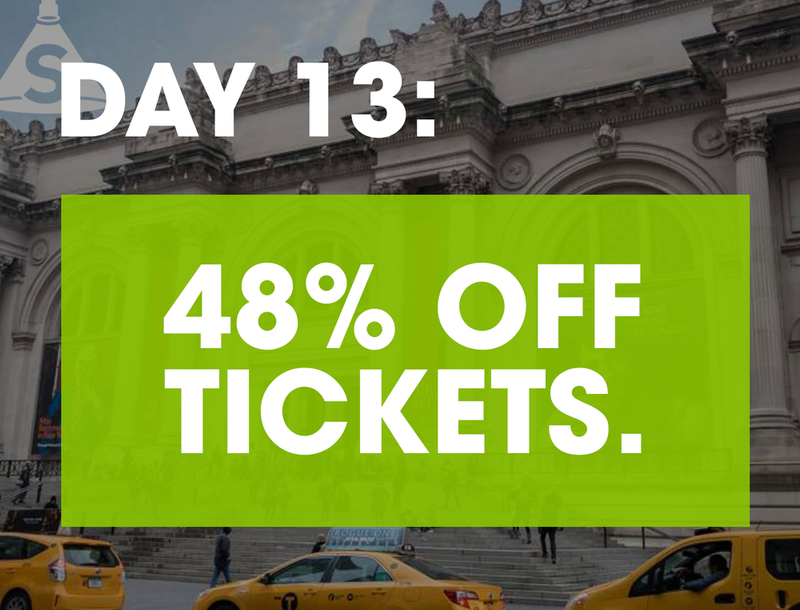 to this tour of the Metropolitan Museum of Art and learn all about the links between theater and great works of art by Renoir, Degas, Picasso, Seurat, Caravaggio, Sargent and more! What’s better than glitter and butts? What about glitter, butts, and free stuff? 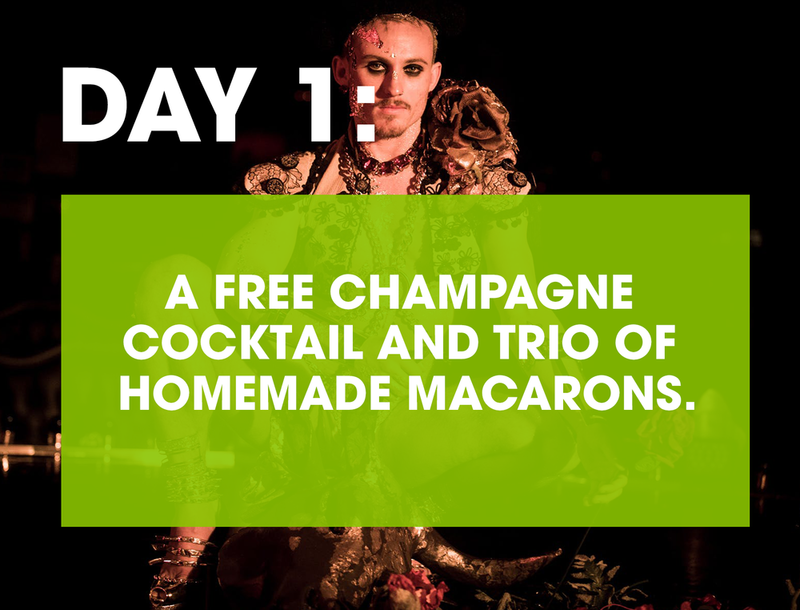 That’s right, our first treat is a literal one: each ticket to Company XIV’s “Ferdinand Boylesque Bullfight” purchased today come with a free glass of champagne and a trio of macarons. Whether you’re a bold, adventurous theatergoer or a quieter, stay-at-home-with-a-good-book type, today’s your day! 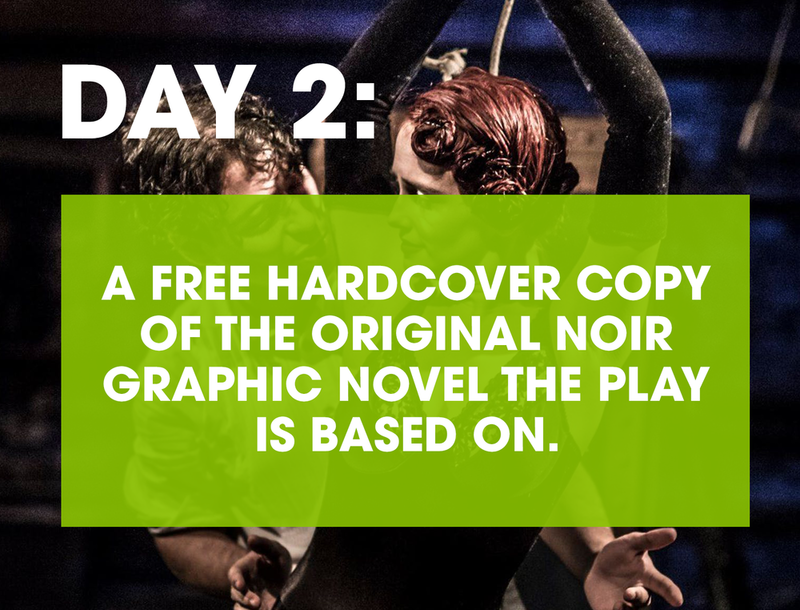 Get a free hardcover copy of the original noir graphic novel after your foray into this darkly magical theatrical event. For our first treat, get exclusive $22 tickets [30% off!] to an evening with John Darnielle from The Mountain Goats. Check out stories he curated performed by stars like Kathryn Erbe, Molly Ringwald, and Michael Shannon. Darnielle will be performing too! Our second treat is a little more intergalactic... Get free popcorn and candy with your ticket to see “Alien” with a post-screening discussion featuring Sigourney Weaver in conversation with Peter Travers. Feeling dark and moody this Halloween season? 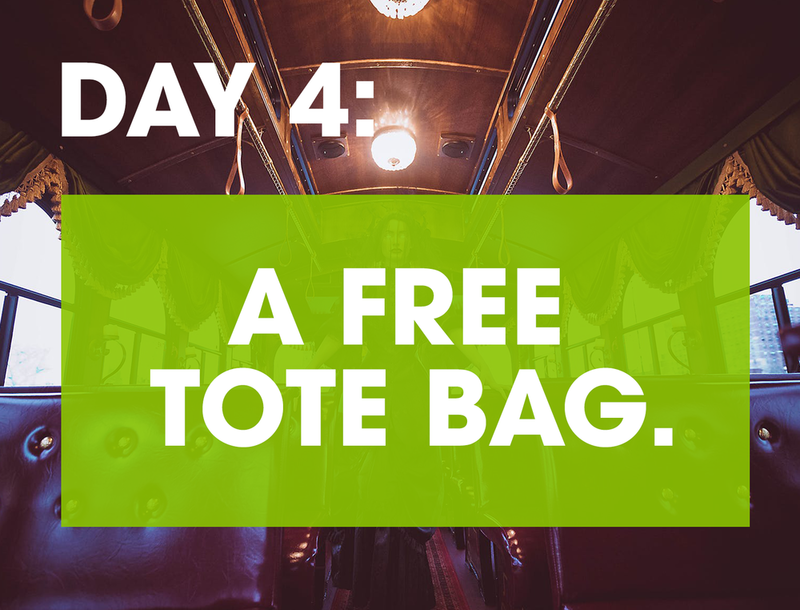 Wear morbidity on your sleeve when you get a free tote bag from Madame Morbid’s Trolley Tours. This spooky ride through Brooklyn’s haunted history is a no-brainer for Halloween lovers, and this treat makes it even sweeter. Get VIP treatment at the classiest brothel this side of downtown Manhattan. For $50 (regularly $80!) you’ll experience an immersive performance with reserved priority seating, a special gift, and two premium tokens good for private readings with any of the poets, mystics, and other featured characters. We see a dazzling night in your future for this Halloween! Here’s your chance to experience one of our absolute crowd favorites with a special bonus: get cozy with the queens after the show with an exclusive meet and greet and photo session! You may not get to “mix a margarita in a sailor’s mouth” but at least you’ll have the pics to prove you’re wild enough to do it. This treat literally gets you an open bar for $15, so it’s already the best deal in Manhattan. Top it off with an outrageously funky performance of Dragus Maximus’ 5th annual Halloween Drag Extravaganza and this is truly a night for the Halloween season books. 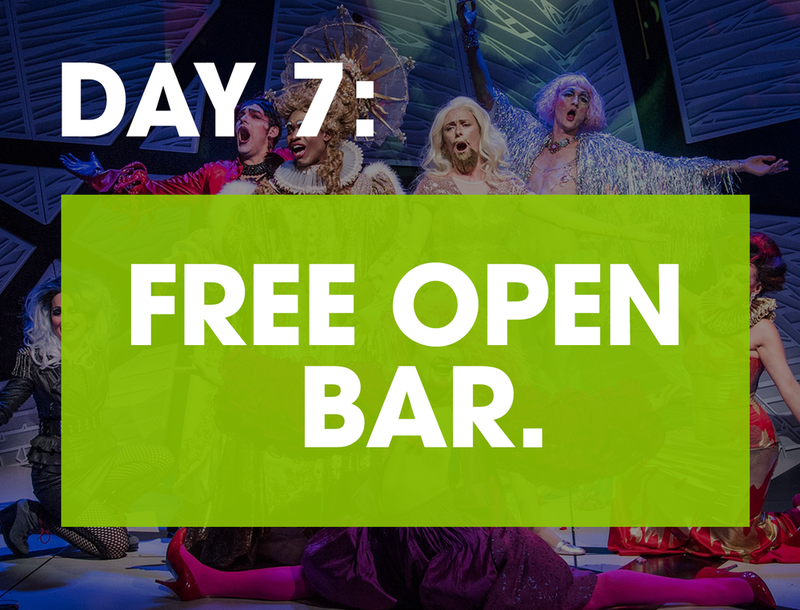 Eat first, imbibe responsibly, and wear your most fabulous costume to celebrate Halloween with New York’s most unconventional indie opera company. Experience your favorite Halloween movie ("Hocus Pocus," obviously) in a whole new way at Le Poisson Rouge on Sunday. Come in costume for this unforgettable halloween party with a rockin' band, Broadway stars, costume contest, and special guests. Get seated or VIP tix today for an additional special treat — a photo op with the Sanderson Sisters after the show! You’ve never seen the American Museum of Natural History quite like this. For today’s Halloween treat, get no-fee tickets to their Día de Muertos party on Nov. 2! Did we mention that tickets include free food and drinks? Because, yeah they do. You’ll also get exclusive access to the Museum’s Day of the Dead Altar Installation. Andy Warhol is coming to the Lower East Side and he wants your vote. If you like pop music, pop art, and popping downtown to see what's fresh– this is the treat for you. Get exclusive $10 tickets to this Ars Nova AntFest favorite. 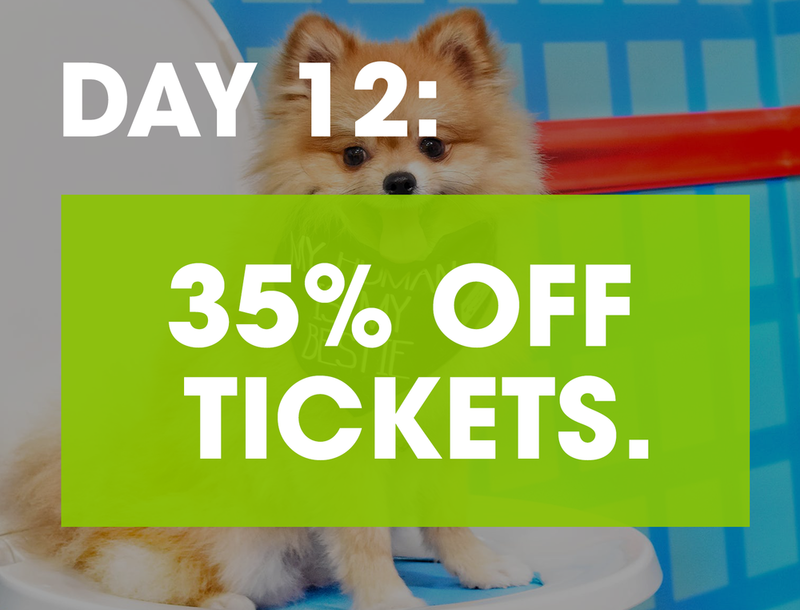 There’s nothing ruff about this deal: get 35% off tickets to the Instagrammable dog pop-up sensation Human’s Best Friend. Bring your pup and frolic through rooms designed to get your tails wagging.